Club swimmers can train as often as six times a week – but it is your choice how much time you commit. Many members attend for a couple of sessions to start with until they are ready to progress. You might want to dip your toe in the water with one of our try out sessions. Our dedicated coaching team help swimmers to develop their strokes, their stamina and their concentration so they can be at their best for a competition. 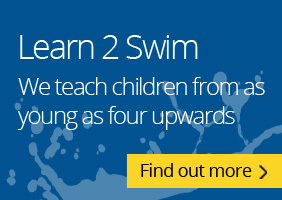 We have a Learn To swim program for children aged 4 and above. When they reach Level 6 or 7 they can move to the main club where fitness levels are built up and technique is improved further. As they progress through the squads, they can enter club competitions and “open meets” where they compete against swimmers from other local clubs, at different venues. The aim is to achieve qualifying times for the county championships and even regional competitions. Several swimmers have qualified for the regionals in the last years and two swimmers have competed at the last two nationals.